The eyes, they say, are the windows to your soul. They express your most secret thoughts, and bring you closer to people. Have you ever imagined how colorless and incomplete your life would be without your eyes? And yet, eyes are surprisingly easy to take for granted. We get so used to them, that we tend to forget that they need more care than most other organs of our bodies. They are vulnerable to infection and injury, and unlike most other body parts, they do not heal easily, making it even more important to keep them safe and protected. Here are some simple habits you should incorporate into your daily life, to ensure that your eyes stay healthy, beautiful, and fresh, and last you all your life. Eat a lot of fruits and vegetables! Carrots are rich in beta carotin, so make sure you include those in your regular diet. But don’t take Vitamin A supplements unless your doctor prescribes them. Don’t use allergy reducing eye drops too often, and don’t take them without consulting your eye doctor. Never wear your contact lenses for more than 12 hours at a time. More importantly, never wear them while you are sleeping. They restrict the direct flow of oxygen to your eyes. Be sure to disinfect your contact lenses before you put them on and after you take them off. 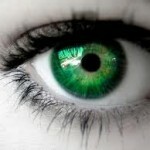 Too many people have gone blind because of infected contact lenses. Discard your lens solution within four months of opening the seal. Use only eye make-up products from reputed and safe brands. 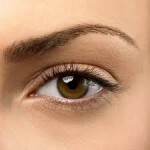 Be particularly careful about products you use on the inside of your eyelids, such as kohl. Remove all eye make-up carefully before going to bed. Use a Q-tip and some cleansing milk. Do NOT use soap. Make sure your sunglasses have ultra-violet protection. Prolonged exposure to UV rays can harm your eyesight in the long run. Protect your eyes from them now to ensure you have a healthy eyesight when you are older. Wash your eyes at least thrice every day, with clean, cool water. Just splash the water in your eyes, do not try to rub them clean. Give your eyes a rest from the computer screen occasionally. Computers and television put a lot of strain on your eyes. In fact, as soon as you finish reading this article, I suggest you go wash your eyes and let them relax a bit. If you do have to sit at your computer the whole day, be sure to relax your eyes every night. Keep some used tea bags in your refrigerator, and put them on your eyes for fifteen minutes before you go to sleep. Alternatively, chilled cucumber slices also help. This will keep your eyes free from puffiness. Wear goggles or other protective wear while you are using chemicals, or spraying aerosols. For example, if you are spraying pesticide on your house plants, or if you are a hair dresser and you are applying some chemical dye on on your client’s hair, be sure to keep your eyes protected. Eye protection is also needed if you are cooking on an open fire, or if you are building a bonfire or a fire in your fireplace. The sparks and embers flying up may get caught in your eye and give you a horrible injury. Exercise your eyes every day. Puff up your cheeks and roll your eyeballs around (do this in private or people might think you are crazy). Practise focussing on a random distant object during your meditations. And finally, drink a LOT of water to keep your eyes hydrated. Dryness could permanently damage your eyes. 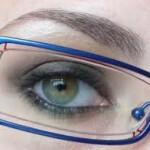 I hope you’ll keep these tips in mind, and take care of your eyes, starting now. Wishing you a pair of healthy, happy eyes.